How To Remove Bags Under The Eyes? When I was young my mom used to scare me into sleeping early by telling me that those who don’t sleep early get eye bags, and that once I get them, they’ll be stuck with me for the rest of my life. Of course, I didn’t listen, and eye bags did appear on my skin. A lot of other factors should be considered when trying to diagnose the cause of eye bags. Lack of sleep, hydration and a diet that is rich in sodium are some lifestyle factors that cause eye bags. Likewise, allergic reactions to certain products can cause the eyes to become swollen and watery. The salt from the tears can cause water retention around the eyes, which will then lead to the formation of eye bags. This also explains why we get eye bags after a night of crying. What are the Treatments and Cures that are Available for Under Eye Bags? There are a lot of remedies for eye bags that you can choose from it all depends on the cause of the swelling in the area. There are certain types of eye creams that are out there in the market, which can help treat eye bags. When it comes to using eye creams, it is best to choose the kind that helps minimize swelling and inflammation in the eye area. Make sure to include it in your skincare regimen-use it religiously, as you will only see results if you continuously use the product such as Dermalactives Eye Cream. Cosmetic procedures such as getting an eyelift or fillers are known to counteract the occurrence of eye bags and swelling. 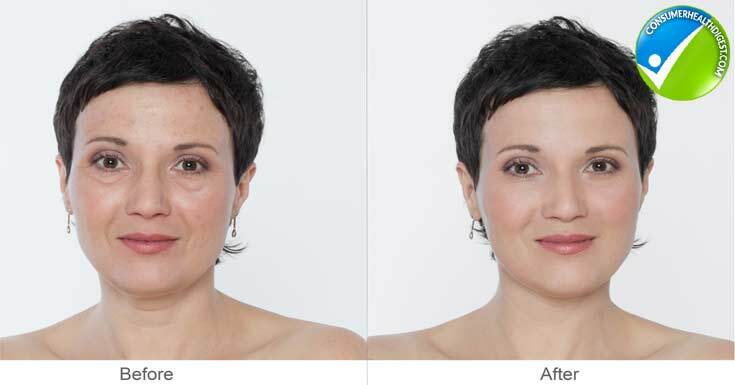 These procedures and popular among those who are in their 40’s or 50’s, the age when effects of skin aging tend to aggravate eye bags and swelling around the eye area. Make sure to monitor the occurrence of swelling and appearance of bags around the eyes, taking note of the events leading up to getting it. If you keep getting eye bags in the morning because you keep staying up all night, then the best solution is as simple as making sleep more of a priority. However, if the swelling is persistent, it would be best to see a doctor. Recurring eye bags and swelling can be a symptom of an undiagnosed allergy or even an underlying illness. In cases like this, it is best to consult a physician so that they can also prescribe the correct remedy for the eye bags. At-home remedies like putting chilled slices of cucumber or potatoes on the eyes are pretty much harmful unless you have an unknown allergy to any of those ingredients. You should be more careful about the makeup, creams, and lotions that you put around your eyes. There might be some ingredients in those products that your skin might not react well to keep in mind that the skin around the eyes is very sensitive, so any harsh element can make the eye bags worse. The risks involving cosmetic procedures on the skin around the eyes, such as eyelifts, can be a bit more dangerous. No matter how good your doctor is, you can never eliminate the possibility of something going wrong while you’re having the procedure done and even after the procedure is over. Making a few improvements in your lifestyle like limiting the intake of foods that are rich in sodium, getting enough sleep and drinking lots of water is basically risk-free and in fact, can make you look and feel better overall. What are Prevention Tips and Quick Fixes for Eye Bags? As with any type of disease or illness, prevention is always better than cure. To prevent the occurrence of eye bags, make sure to drink lots of water, eat foods that are rich in antioxidants, get enough sleep and use a really good eye cream and make sure to use it regularly. However, there will be times when you will get eye bags out of nowhere. The favorite go-to quick fix among women would be to use makeup to cover up the eye bags. With a few dabs of concealer and curled eyelashes (with mascara), you can feign the look of youth and freshness. If you have some time to spare, you can slice up a few pieces of cucumbers or potatoes that have been chilled and put a slice on each eye. Let it sit for about 20 minutes, and that should be enough to let the swelling to go down.